How will this report help me and my business? How does your use of digital marketing compare? Are you using the full range of channels and marketing technologies? Which are producing the best ROI for you? What are the opportunities of digital marketing? How do digital marketing capabilities compare? Who is using a structured approach to strategy and planning? Which techniques are businesses investing in? What approaches to innovation and optimization are used? 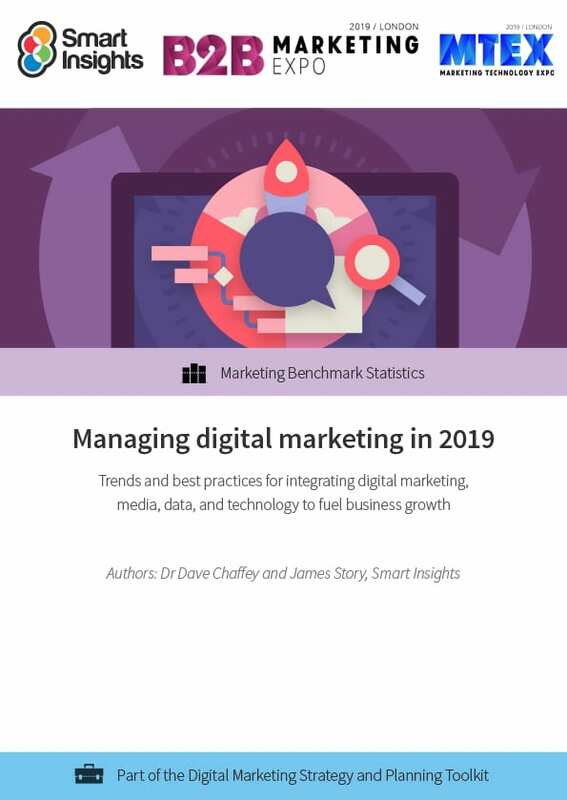 Our research report based on a survey of Smart Insights members and Technology for Marketing attendees explores the approaches businesses use to plan and manage their investments in digital marketing. This is our fourth annual report in collaboration with the B2B Marketing Expo, taking place on the 27th and 28th March 2019 at ExCel, London. What is the managing digital marketing report structured? This is report for an annual survey we send to our members, last conducted and published in December 2018. Dr. Dave Chaffey is co-founder and content director of Smart Insights. He is editor of the 100 templates, ebooks and courses in the digital marketing resource library created by our team of 25+ Digital Marketing experts. Our resources used by our premium members in more than 80 countries to Map, Plan and Manage their digital marketing. Dave is author of 5 bestselling books on digital marketing including Digital Marketing Excellence and Digital Marketing: Strategy, Implementation and Practice. In 2004 he was recognized by the Chartered Institute of Marketing as one of 50 marketing ‘gurus’ worldwide who have helped shape the future of marketing. 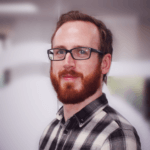 James Story is Content Manager and Data Analyst at Smart Insights, creating and coordinating member content across 20 digital marketing toolkits. He is a University of Leeds graduate and has spent the last five years creating content for online PR, SEO, and digital marketing activities.